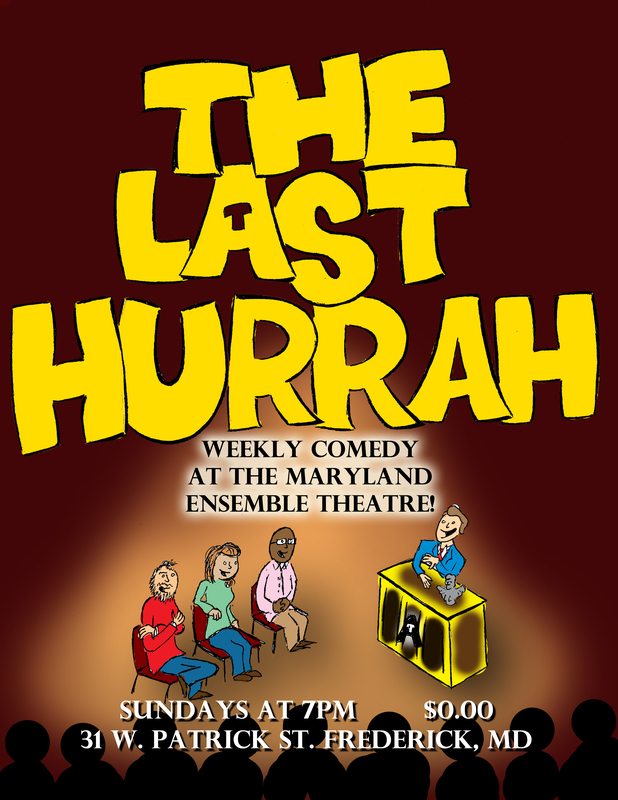 This Sunday at the Maryland Ensemble Theatre, The Last Hurrah kicks off their first performance. Join as Kevin Cole as he attempts to lay out the premise and feel for this conversational comedy show. This week’s panelists include Andrew Michaels (Annual Writer, The Annual Live), Giovanni Kavota (The Comedy Pigs), and Karli Cole (The Annual Live, Eleemosynary) as well as some stand up from Stacey Axler.